Ad space on Google is more competitive, and therefore the price of advertising is considerably higher than on Bing or Yahoo. As for Bing, their are far less searchers who will see your ad, but the ones that do are especially valuable. Research shows that Bing users spend more money and engage more directly with products. When you consider that most new PC’s come equipped with the Windows run Bing as their default search engine, you can see why this platform could offer opportunity to marketers on a budget. Tools: Keyword Planner, Correlate, SEMRush, MOZ Keyword Explorer, Etc. At the conclusion of your research, you can formulate a list of targets that make the most sense for your ad campaign. Relevant terms in your industry and / or location are ideal, especially when their peripheral metrics show high conversion probability. It’s important to stress that not all traffic is useful. Only visitors that have a chance to be converted into customers are worth attracting. To speak with a PPC specalist, call 800.231.4871. If a campaign is properly run, even those that fail to generate substantial ROI will offer value. Through tracking and analytics, advertisers can gain valuable insights about their customers and their behavior, and utilize that information to improve their campaign, along with other aspects of their internet marketing venture. We stress a complete online presence that expands beyond a PPC campaign, and includes SEO, website design, and content marketing as supplementary components. PPC is about paying people to click on your website while organic SEO is about attracting people through strategic optimization. PPC works immediately while organic SEO takes a while to implement, and then for Google to properly crawl and index. SEO prioritizes long-term benefits like reputation, authority, and indexing while PPC is about short-term lead generation. DFW SEO is unlike many markeitng companies in that we don’t push one concept over the other. Since the two idealogies are not mutually exclusive, they actually compliment each other quite well. Websites optimzied for search have a better chance of succeeding with PPC campaigns than ones that aren’t. Ideally, companies generate traffic from PPC in the short-term, while acquiring sustainable long-term traffic through organic SEO. Pay per click, if used properly, can take advantage of spikes in the market, and be used as a tool to implement every so often. Money is always a factor. This is the case in any aspect of business, and is no different for PPC advertising. Successful companies keep track of their budget, and don’t spend more than they can afford, or too much to sustain over time. Tracking your ROI is crucial to gauging the success, or lack theroef, of you PPC campaign. A good formula for return on investment is conversions divided by ad spending, or conversion profit / ad cost. Using this formula, you can calculate dollars made per dollars spent. DFW SEO covers the full spectrum of internet marketing. In addition to planning, launching, and executing your PPC campaign, we offer various other services. SEO, website design, content marketing, and schema markup are just some of many more digital marketing methods. For business owners in the Dallas – Fort Worth Metroplex, the time is now to take your promotional efforts to the next level. 2018 brings with it great opportunity for small businesses to expand their online presence. Call DFW SEO at 800.231.4871 for PPC advertising services that you can count on for ROI! 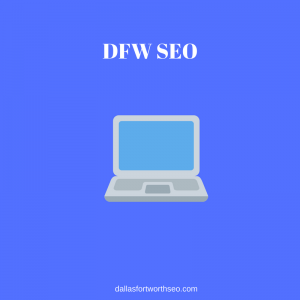 Updated on April 16, 2018 at 3:23 pm by Dallas / Fort Worth SEO.